You can define specific skills or expertise in a clearly defined context, e.g. "Strategy" in the context "Airline Industry"
Check all your created positions in the position list offered. From there you can access to the list of matching candidates and each position ovreview. The candidates short-list summaries all decision relevant information for you. 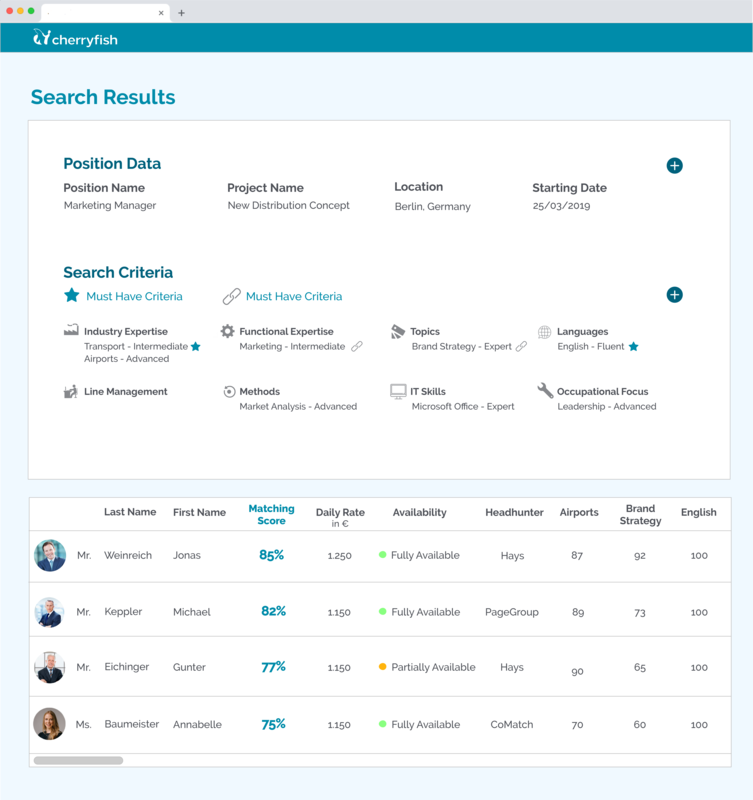 You can compare matching scores, daily rates and availability data and even take the headhunters commission rate into consideration. will appear first. That will enable faster and certain decisions. 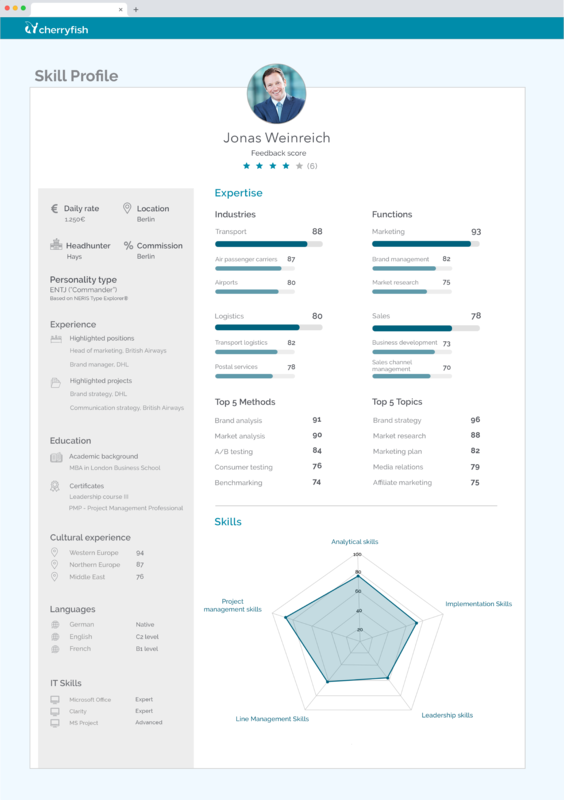 The skill profile also contains background information regarding education, cultural experience and languages as well as IT skills. 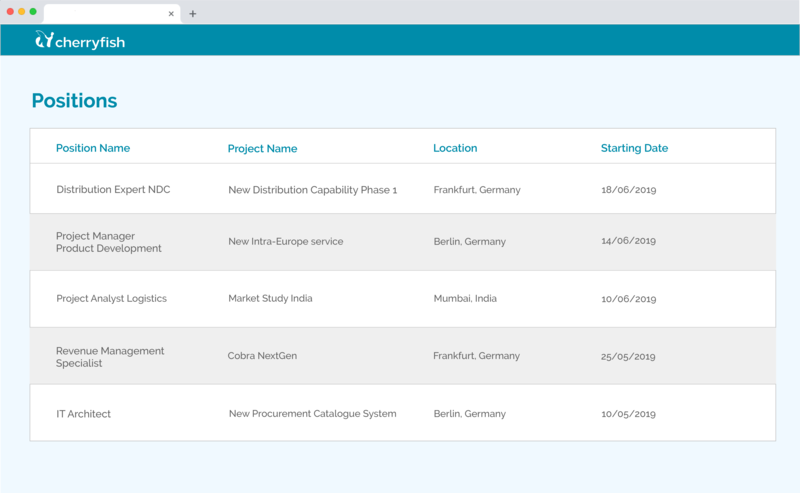 The candidate can add his personality type based on the NERIS type explorer model. 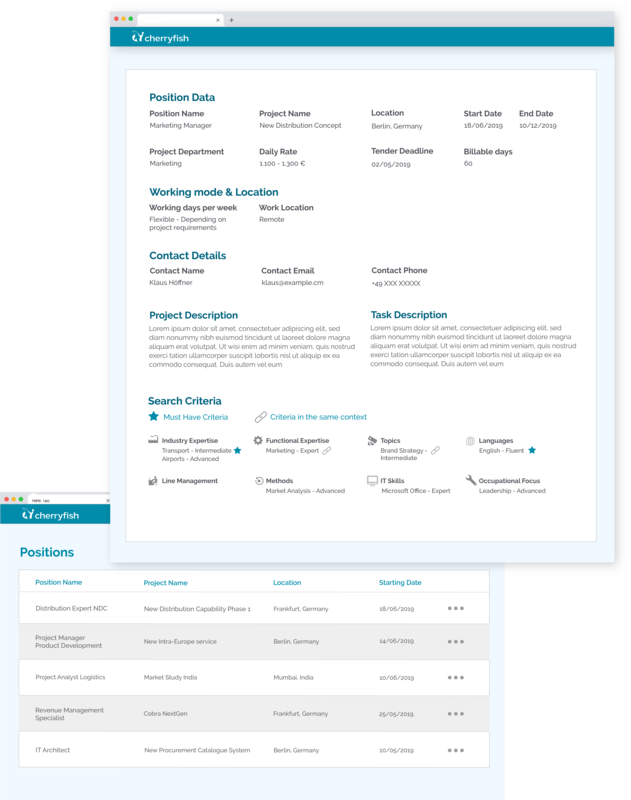 By selecting the preferred candidates, you can easily compare them by all the position criteria. The matching score is highlighted in order to see the best match. 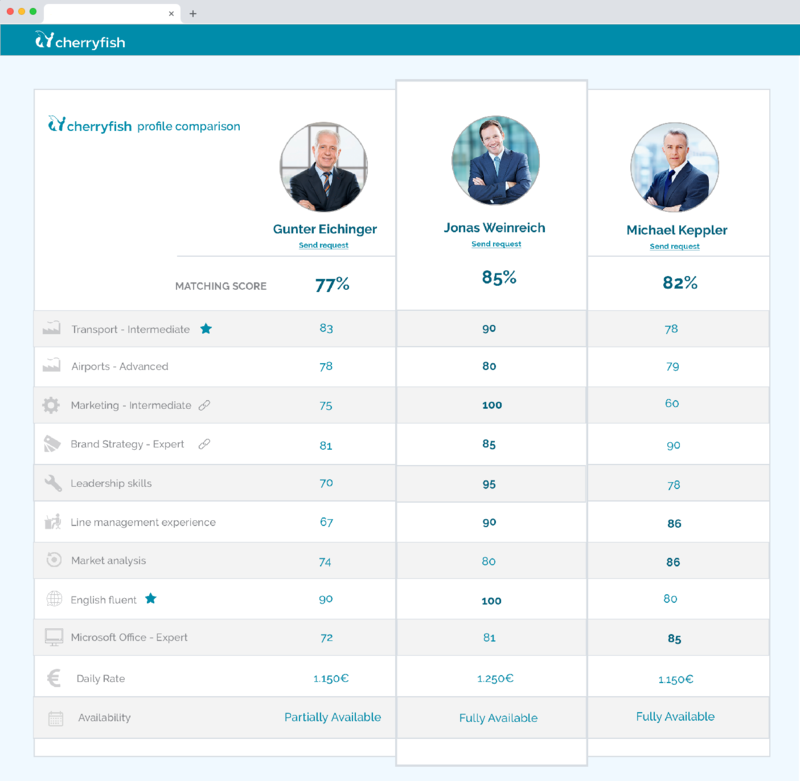 With the profile comparison you can easily compare the availability of each candidate and their daily rates so you can decide on a price/quality basis.